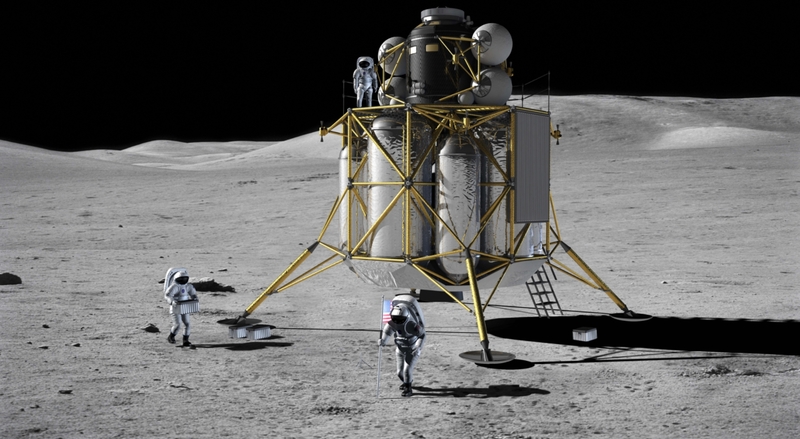 As NASA refocuses – once again – on returning to the Lunar surface, the agency has published a Request For Information (RFI) that will be used to gauge interest from the private/commercial space sector in building domestic lunar landers. The request points to an evolution of concept, with small-scale cargo landers being used to prove the technology before feeding into the development of human-rated vehicles. The RFI is related to the political direction – known as President’s Space Policy Directive-1 – that calls for American bootprints on the surface of the Moon for the first time since the 1970s. The request outlines NASA’s aim to better determine the state-of-art and maturity of lander capability in the private sector and mature its own requirements for a human-class lander. NASA was in the process of building its own human-rated lander during the Constellation Program (CxP) era. Called Altair, the lander was to be launched on the Ares V, a rocket that has since morphed into the Space Launch System (SLS). When CxP was canceled, the baseline “Moon, Mars and Beyond” approach was refocused several times, with only Mars remaining as the primary long-term goal. An interim step to visit Near Earth Asteroids (NEAs) has also since fallen by the wayside. A wish to return to the surface of the Moon has always been bubbling under the surface within the political class, with such undertones even leading to former NASA administrator Charlie Bolden issuing a direct warning that placing the Moon’s surface back into the roadmap would place the agency’s Mars plans in jeopardy. The then-Administrator also told a Congressional hearing that the amount of additional funding required to resurrect Altair through to the point of achieving lunar landings would be in the $8-10 billion range, effectively pricing the idea out of the funding possibilities. Interestingly, a return to the Moon was never really taken off the table, with the Exploration Systems Development (ESD) Concept Of Operations (Con Ops) presentations (L2) continuing to list the option alongside the main NEA (Earth Earth Asteroid) missions under the Architectural Timeframe Design Reference Missions (DRMs). “Lunar Surface Sortie (LSS): Lands four crew members on the surface of the Moon in the equatorial or Polar Regions and returns them to Earth,” noted one such example within the ESD Con Ops presentation. With the political direction refocused on the Moon, NASA teams have been evaluating the option of inserting it into a realigned roadmap. The RFI appears to be based on utilizing the continued success of agency and commercial sector partnerships. CLPS will also support the delivery of small rovers and instruments to meet lunar science and exploration needs. 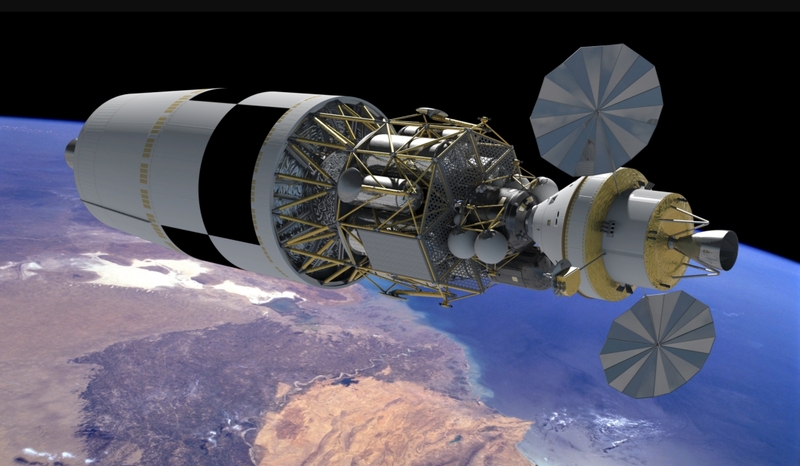 NASA plans to release a Request for Proposals for CLPS in mid-2018 that is expected to fund payload opportunities on near-term commercial lunar landing opportunities. The phased approach will result in a series of increasingly complex and capable lunar missions to the surface of the Moon, starting first with robotic missions. 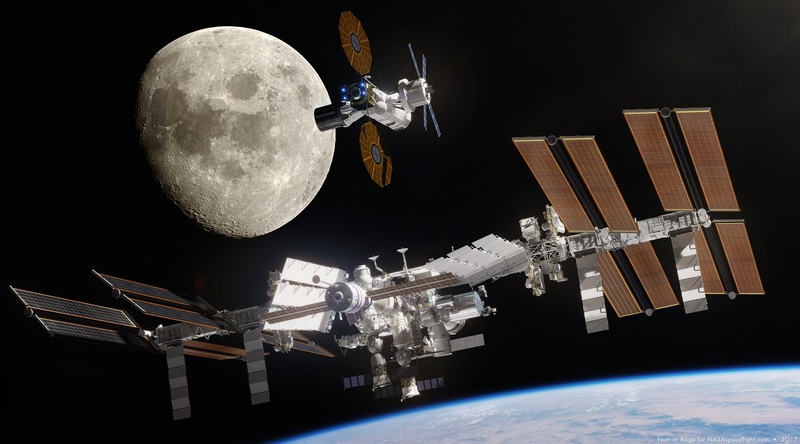 NASA added the initiative will be undertaken in coordination with scientific lunar exploration and will run in parallel to the development and flight of the SLS, Orion, and the elements of the Lunar Orbital Platform – Gateway. The RFI also cites NASA’s Lunar Cargo Transportation and Landing by Soft Touchdown (Lunar CATALYST) initiative, which has been fostering the growth of commercial lunar lander capabilities. 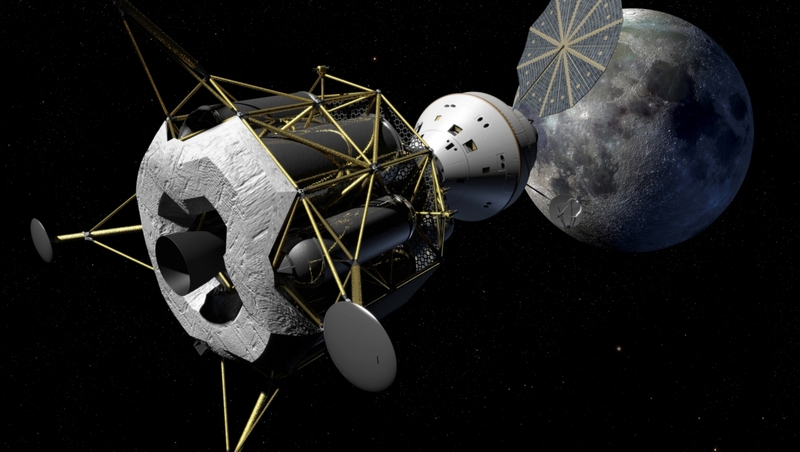 This initiative – which began in 2014 – currently has three companies involved in “no-funds-exchanged Space Act Agreement (SAA) partnerships” namely Astrobotic Technology, Masten Space Systems and Moon Express. With NASA now beginning conceptual development of a human class lander, the latest information points to a series of medium-to-large landers with payloads in the 500-5000 kg range to assist in requirements development and establish an approach to a human-class lander in the next decade. Entities responding to the RFI are required to provide information on how they would capabilities development, including requirements, with the near-term goal of a first mission to the lunar surface as early as Fiscal Year 2022. NASA is assuming an initial set of two demonstration landers will be funded over the next 4-7 years, with the capability to deliver payloads starting in the ~500 kg range. These landings will be “in addition” to the numerous small landing missions to be planned and conducted under the CLPS contract. These demonstration missions could also prove out key requirements such as landing precision, long-term survivability, guidance, and navigation for human ascent vehicles. As to a clue to the assumed timeline for a human return to the Moon, the RFI adds NASA has a goal to complete an initial demonstration of these human-class lander capabilities by the end of the 2020s.